This page © Copyright Colin Hannah, 2001. General Stockwell appeared during season 5. In the opening episode he captured Hannibal and then made the A-Team work for him on several covert operations. If they had refused, Stockwell would have had them imprisoned. Stockwell was a rather shady character to say the least. It was unclear which (if any) of America's governmental branches he worked for. Born : 22nd November 1932. Place of Birth : New York City, USA. Children : One son (Cassidy) and a daughter (Caitlin). 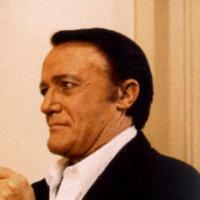 The following is a miny biography taken from a Robert Vaughn fan page (I've forgotten which one, sorry! - I'll try and link to it at some point): Robert Francis Vaughn was born on November 22, 1932, in New York City to show business parents. His father, Walter Vaughn, was a radio actor, and his mother, Marcella Gaudell Vaughn, a stage actress. They divorced when Vaughn was only six months old and he was sent to live with his maternal grandparents in Minnesota.